Baby Calvin is a very loved little boy and with two big brothers he's sure to be rough and tumble too! These boys love Calvin so much, they were giddy when it came time to love on him. Seeing these brothers all together makes my heart swell, isn't it sweet? 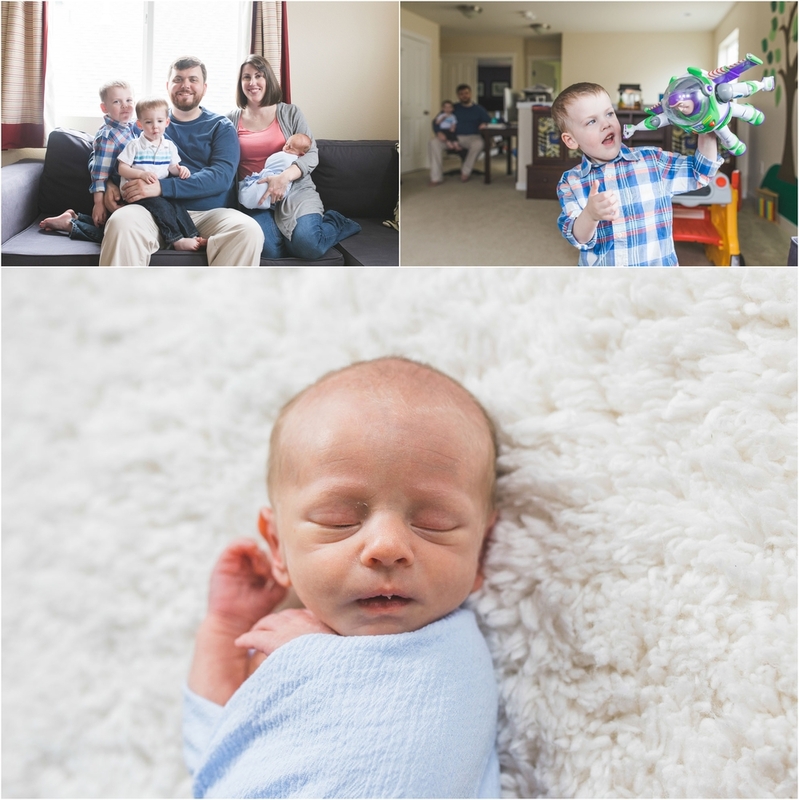 Thanks for hiring me to do your lifestyle newborn photography, and congrats on baby Calvin! !